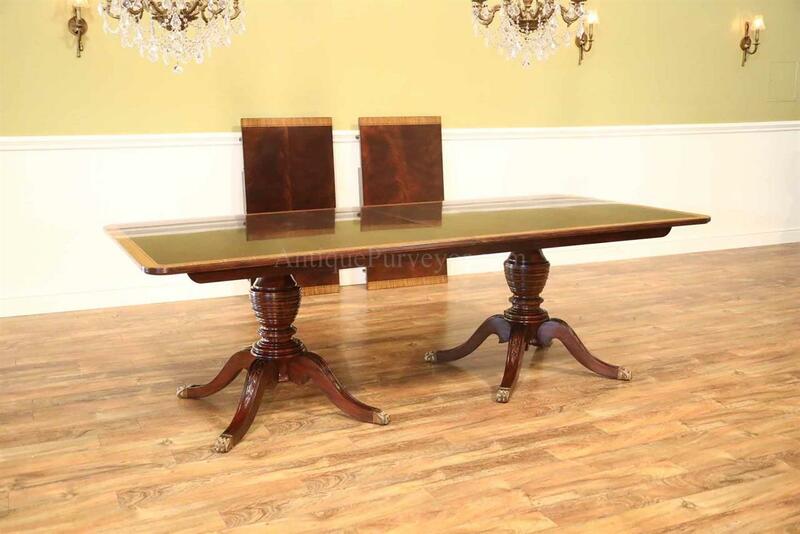 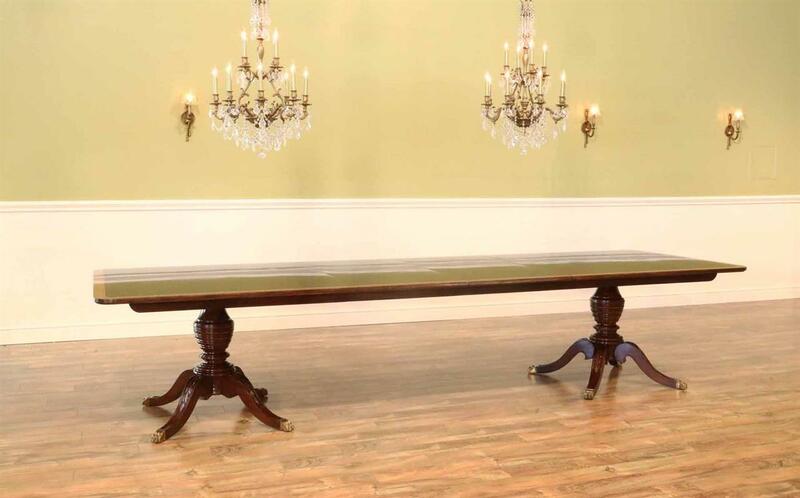 Description: Hard to find narrow design 12 foot mahogany dining table on overbuilt and sturdy double pedestals with saber legs and solid brass feet. 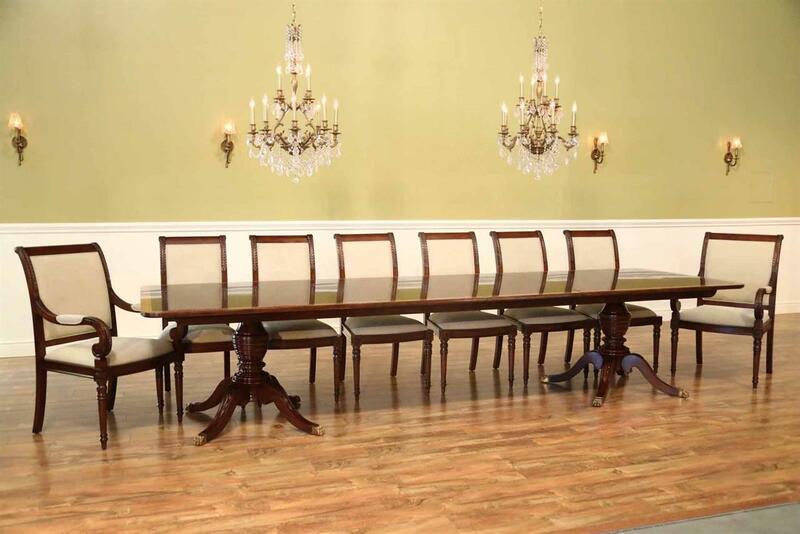 This table is only 46 inches wide, but it opens to 144 inches or 12 feet and it will seat up to 14 people. 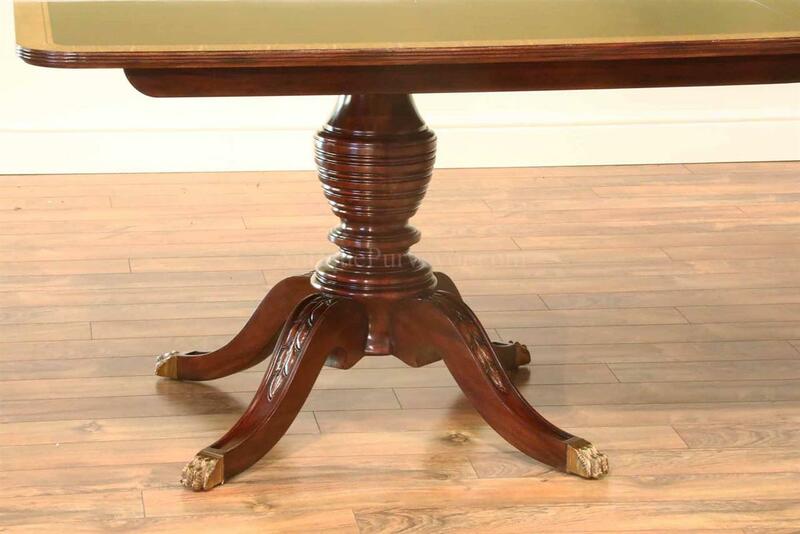 An overbuilt table with features not normally seen on such style table. 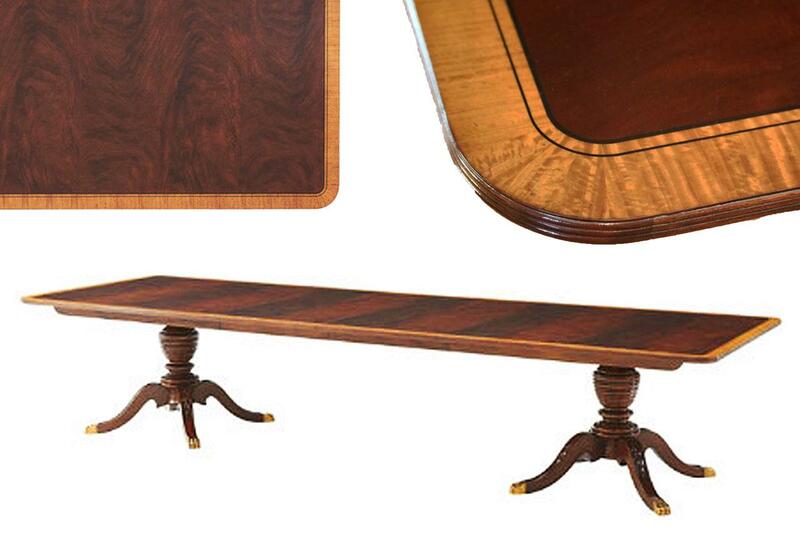 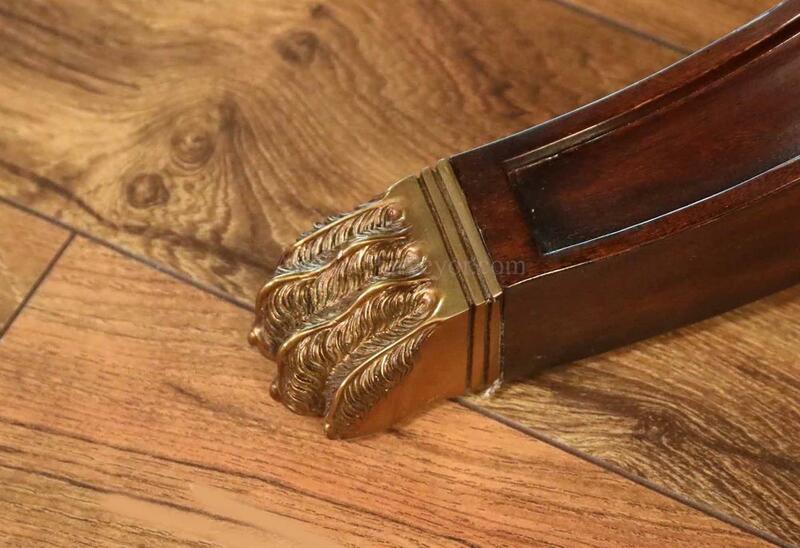 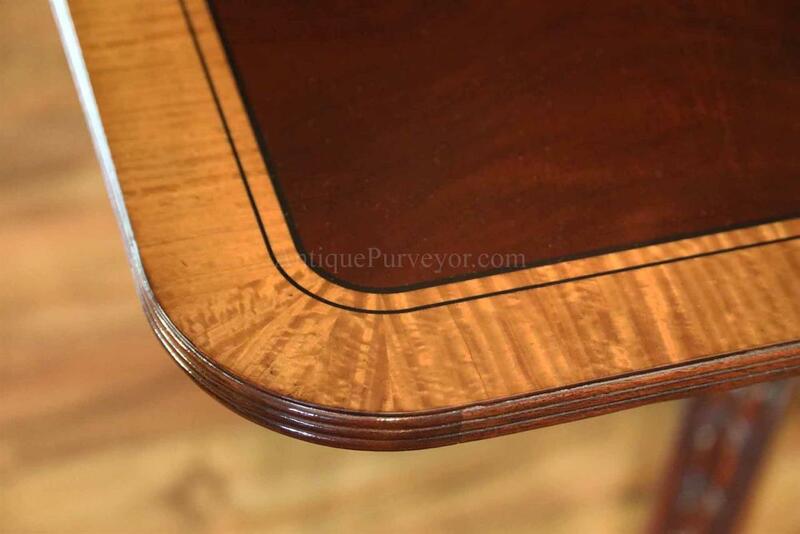 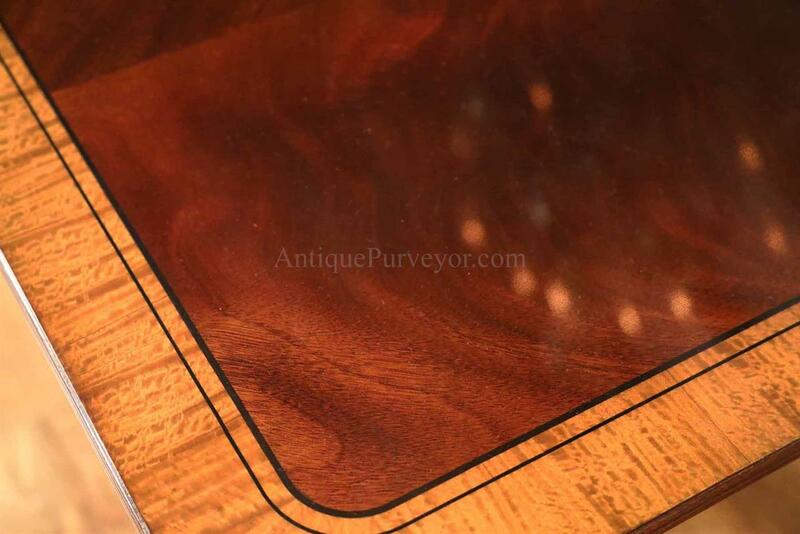 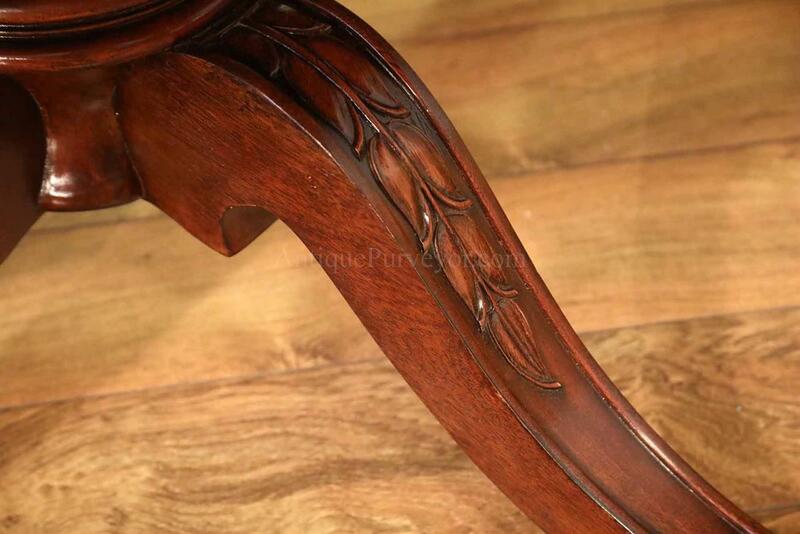 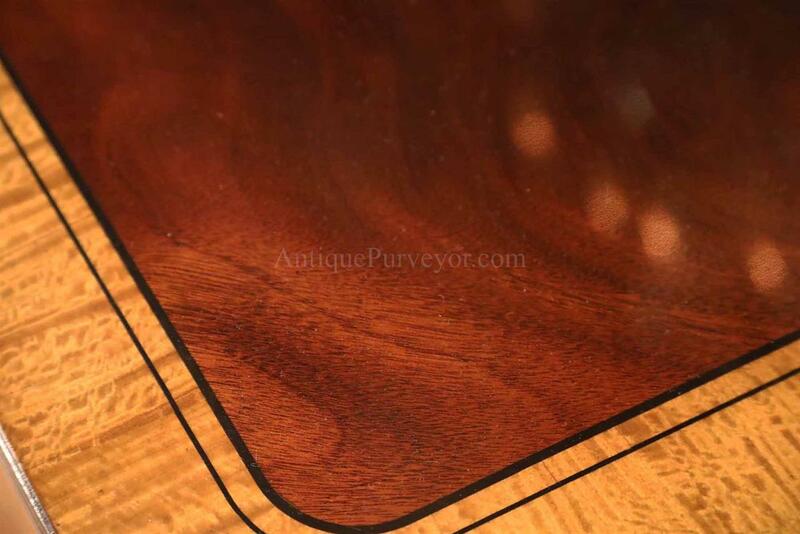 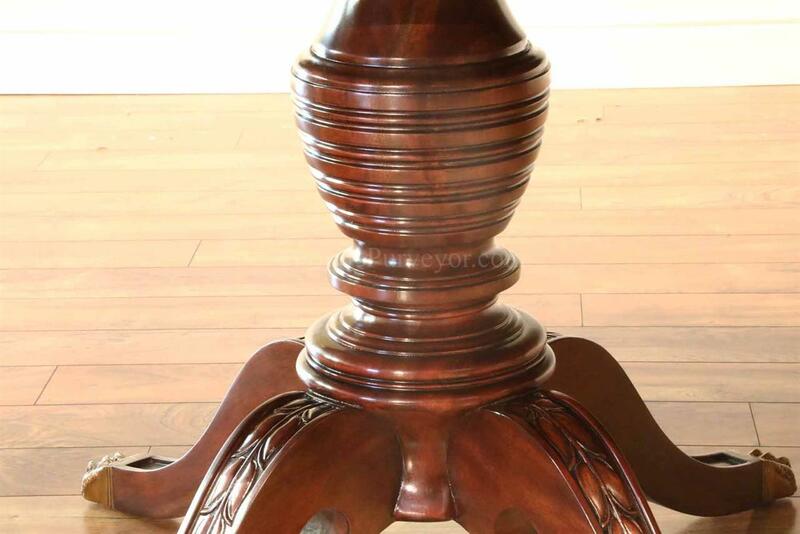 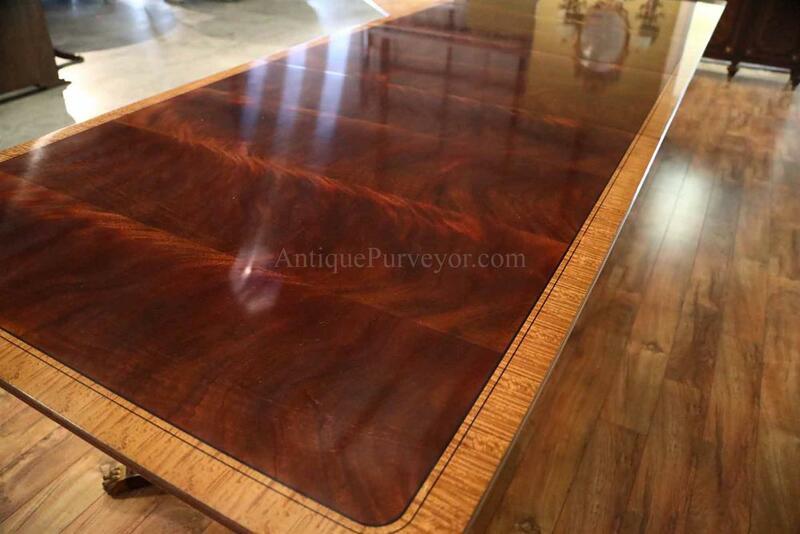 The underside of the leaves and the table have a mahogany frame built with solid mahogany to keep the fillers and the table top true for many generations. 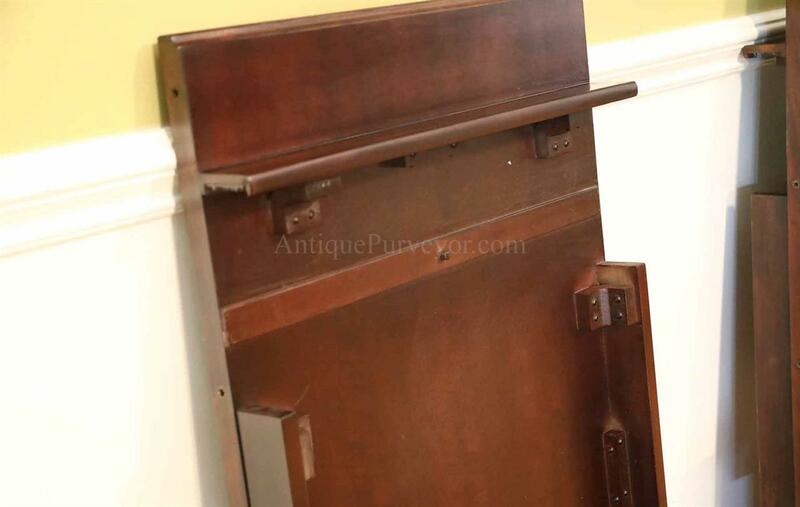 Side leaf latches rather than a typical latch, which means you won't see or feel these latches, they are well hidden under the apron. 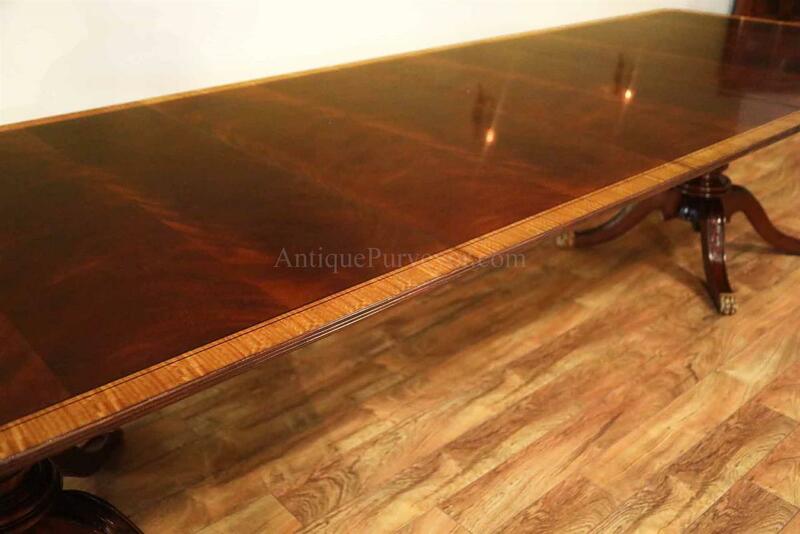 This table is part of an extremely higher end collection of furniture so everything about this table is built to please even the most finicky buyer and it is built to last many generations, this table can clearly be considered Heirloom quality. 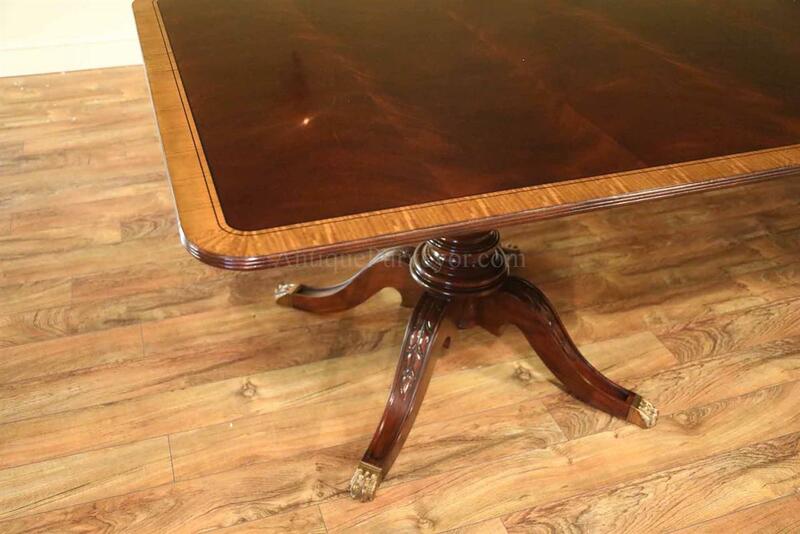 This table usually has a 6 month build time, there are no other dealers that carry this table but we have decided to stock it on a regular basis. 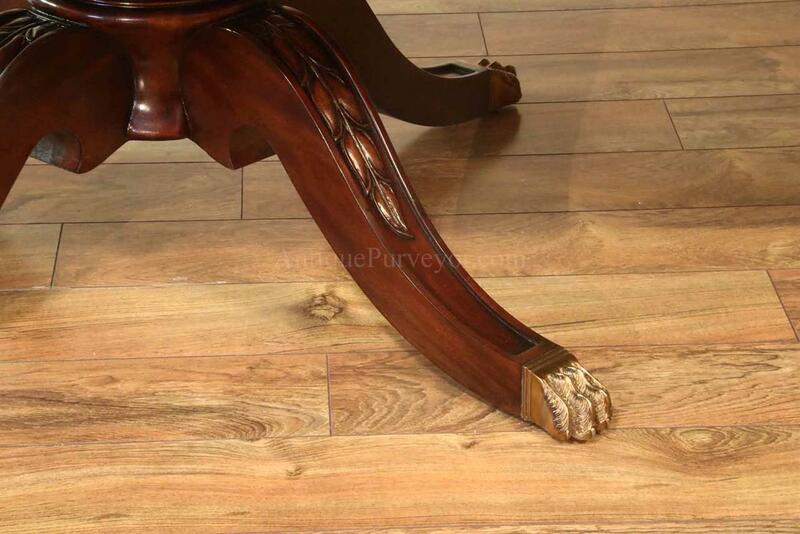 When it sells, we will replace it. 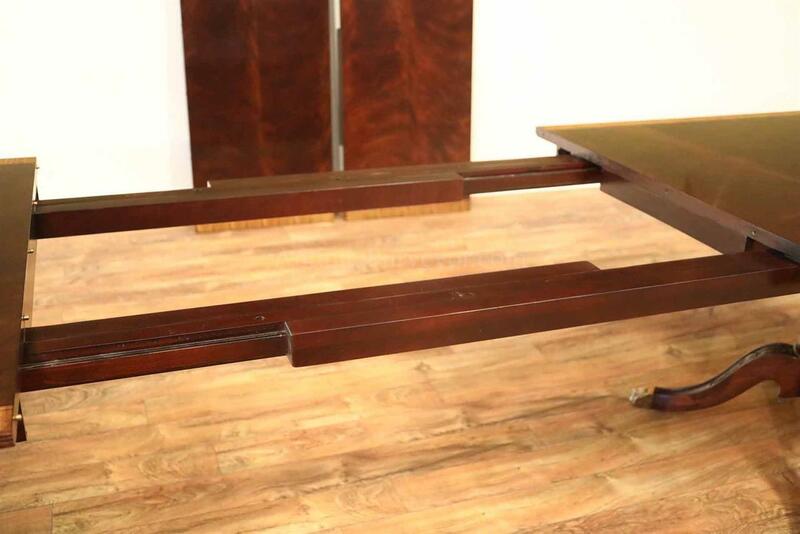 Narrow tables like this were always hard to find...until now.